There is much to know when it comes to the drug Meth. Many are unaware of the real cost is causes to one's mental, physical and social health. Knowing the facts can help keep an invidual from ruining their life due to this destructive drug. Meth users are more likely to engage in risky sexual behavior and get diseases that may effect the urinary system. If an invididual is to become pregent while on meth, low birth weight is to be expected. There also is a risk of neurodevelpmental problems. Using this drug can also cause women to miss their periods and low sperm count in males. 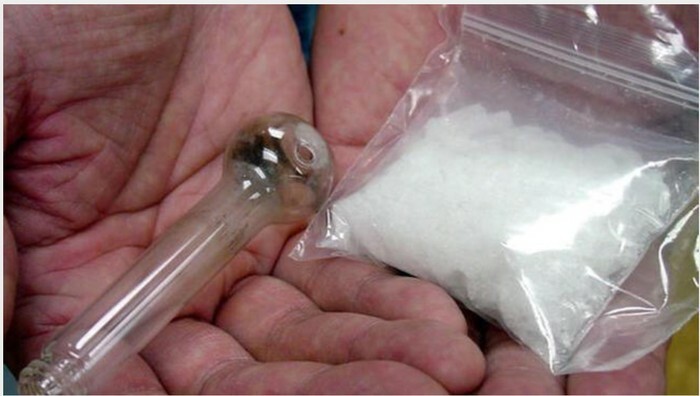 Crystal meth use by women of child-bearing age continues to grow. An estimated 19,000 women use meth while pregnant. Using meth while pregent causes high blood pressure, eclampsia, abrupt end placenta, and pre-term labor. Most women who use meth while pregnant have to get a c-section. Meth cripples the immune system. This is caused by weight loss, chronic insomnia and respiratory problems. An individual is also much more likely to commit sucicide while on meth. When methanmphetamine is ingested, it affects the entire digestive system. 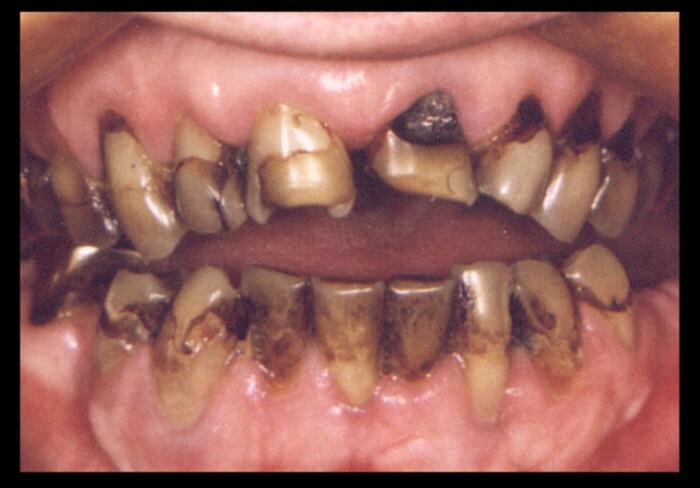 This begins in the mouth, Meth causes rotten teeth and thooth decay. The drug itself also causes major changes in the body by stimulating the sympathetic nervous system. In the liver, methanmphetamine can be broken down into small chemicals so that they can be filtered out by the kidneys. Crystal meth carries many extremely toxic chemicals from the cooking process (chloroform, ether, hydrochloric acid, lithium, and more). These chemicals are harmful to the liver and causes immense stress to the body because nutrients, vitamins, minerals and energy are expended during the process of getting rid of these toxins. In the pancress, digestion can slow down and become less efficient, thus causing a vicious cycle of malnutrition and weight loss for meth users. ​As a powerful stimulant, methamphetamine, even in small doses, can increase wakefulness and physical activity and decrease appetite. Methamphetamine can also cause a variety of cardiovascular problems, including rapid heart rate, irregular heartbeat, and increased blood pressure. You can get meth with a subscription but other than that it's illegal. 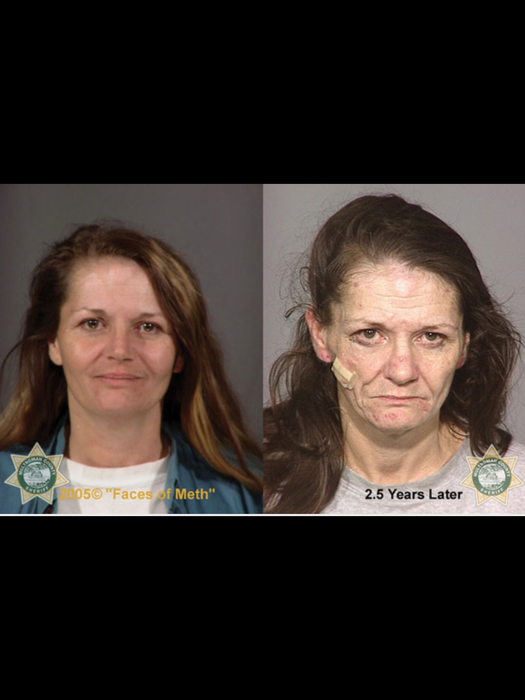 Consequences for meth have increased over the years, depending on the situation, getting caught with meth can result in a year in jail time or a 1,000 dollar fine for just the first time. Meth addiction is one of the fastest growing drug trend in Amercia. In 2012, there were approximately 440,000 current meth users. According to the US Library of Medicine, crystal meth addicts who use needles – also known as intravenous drug users (IDUs) – to inject the drug are 80 percent more likely to attempt to kill themselves than those who are addicted to or abuse other drugs.